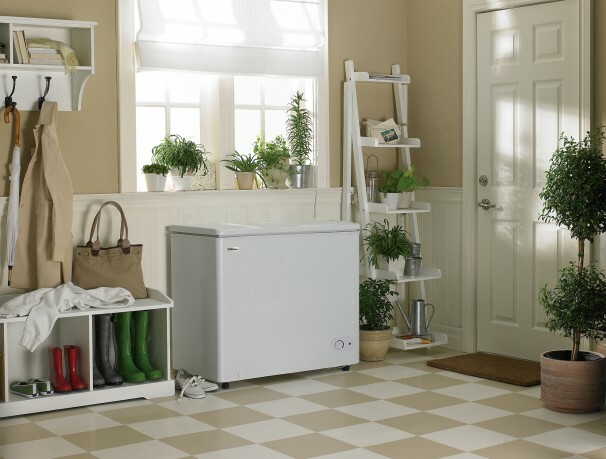 You’ll never have to worry about a shortage of frozen-food storage space again with this 7.2 cubic foot (204 titres) chest freezer. You’re also likely to see your electricity bills drop since this model features a well-designed foam-insulated cabinet and lid. There’s an easily-accessible mechanical thermostat mounted on the front with a temperature range of -12°C to -24°C (10.4°F to -11.2°F) and the rust-resistant interior liner makes it simple to keep clean. 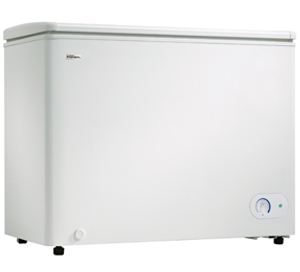 The defrost drain is also mounted on the front of the unit which makes for a fast and simple manual-defrosting process. 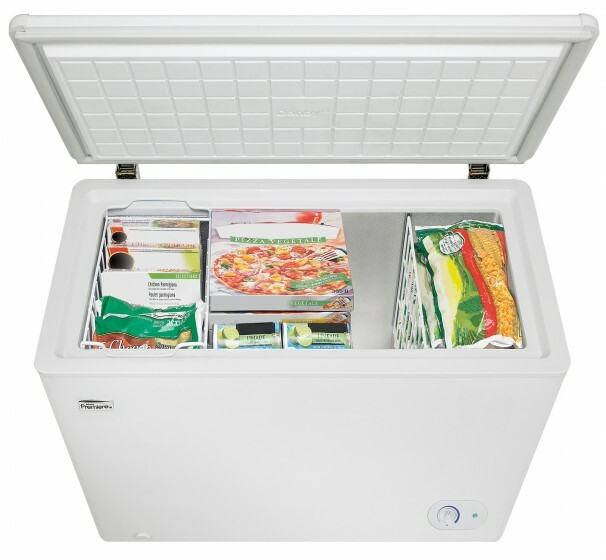 All of your most popular frozen food items can be stored near the top of the freezer with the handy, adjustable white-wire basket, making them easy to find. There’s also a convenient compartment divider which makes food organization that much simpler. 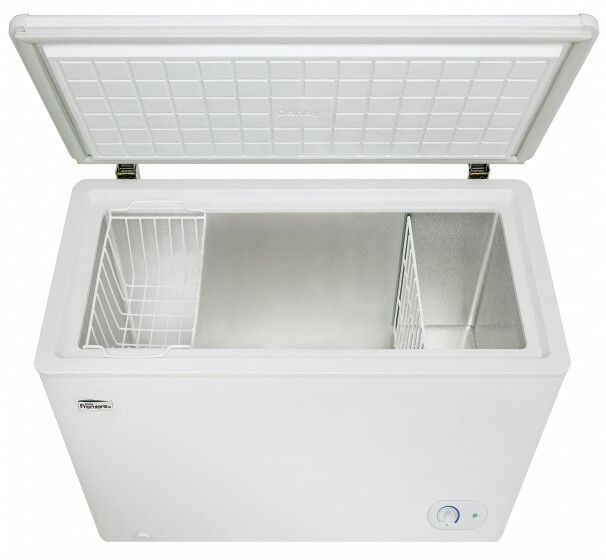 This elegant and spacious chest freezer also comes with a smart power indicator light and offers a 24-month warranty on parts and labor with in-home service. 24 months parts and labour coverage with In Home service. Installation and/or Yearly Maintenance (cleaning) are not covered under warranty.